and it's pretty crazy to see in real life. 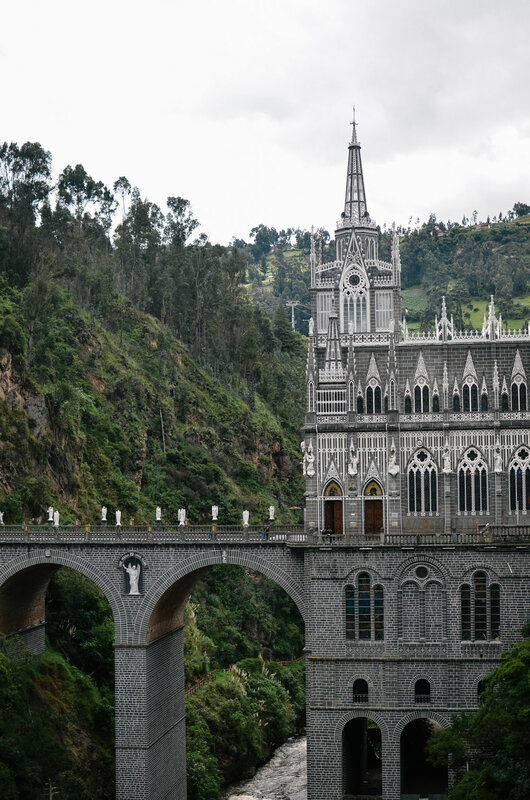 las lajas was built between 1916 and 1949, but it has a much longer history. they say it was inspired by a miracle said to have taken place in this canyon hundreds of years earlier, in 1754 [you can read more about that here]. 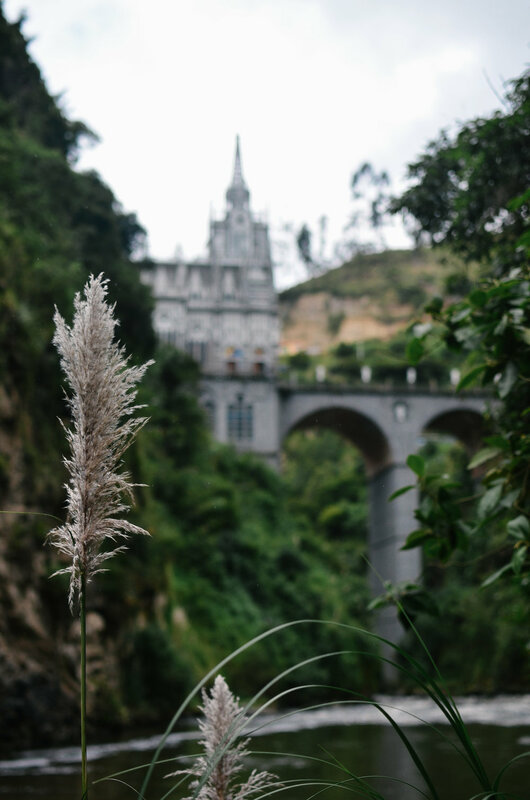 we found out about this place by chance [i think browsing adam combs instagram], and had planned to take the bus from quito to cali, with a quick stop here after we crossed the border.